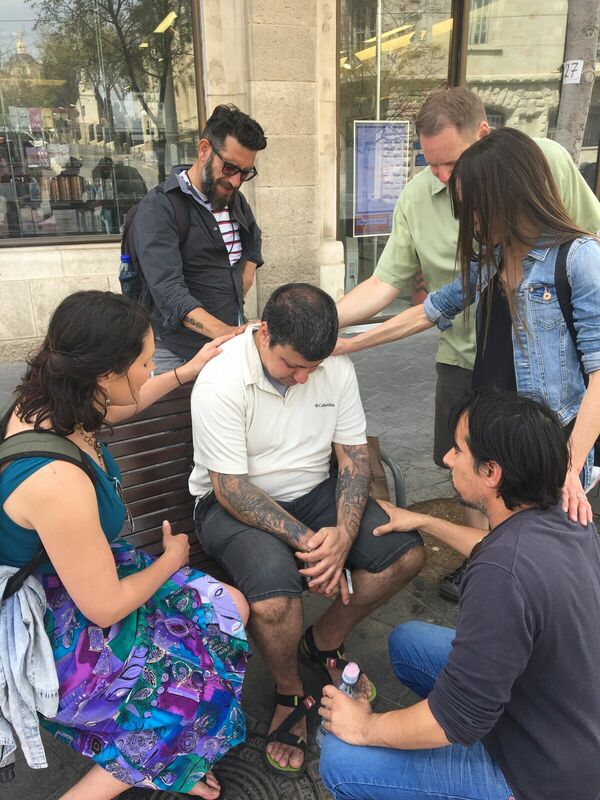 Establishment of Mission Discipleship Headquarters in Israel as a place that houses prayer volunteers who minister deliverance, healing and refreshing to Israeli believers. Reaching the People of Israel with the Good News of the Gospel of Messiah! 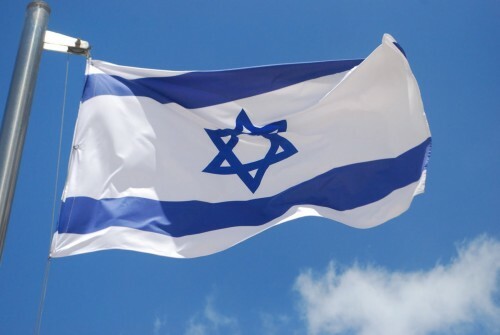 To support the Israel Mandate CLICK HERE. 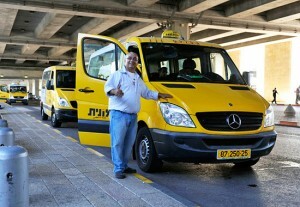 After the 2015 prayer mission trip I took a shared shuttle (sherut) from the airport into Jerusalem. 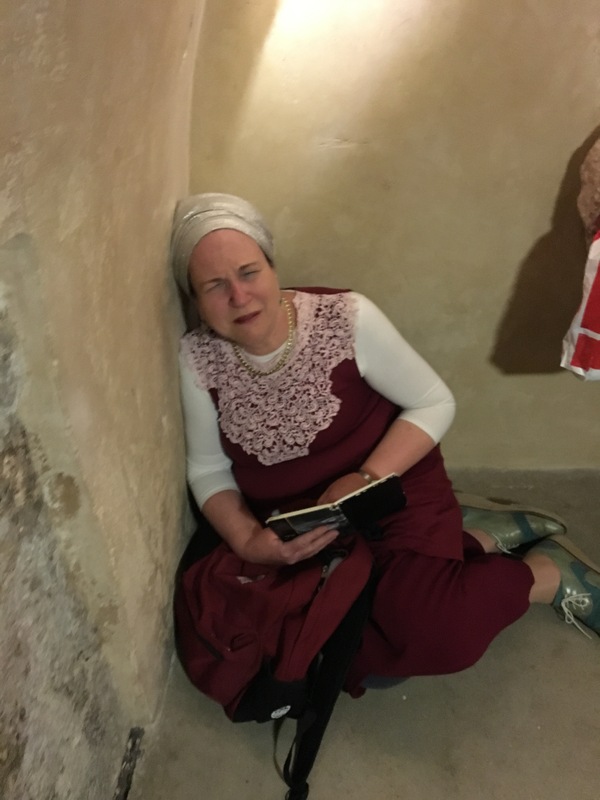 I was heading to the Mount of Olives, a predominantly Arab part of Jerusalem to spend time in prayer for my remaining three weeks in that city. The sherut driver wouldn’t take me there but in his gruff tone and seeming impatience he agreed to drop me off at the Damascus Gate of the Old City of Jerusalem, where I could take an Arab taxi to my final destination. As he dropped off passenger after passenger prior to my stop I noticed that no one was tipping him, nor was he helping them out of the van with their bags. When it came to my stop I tried to lighten the atmosphere in the shuttle with a soft word of gratitude and a monetary tip added to the fare for my ride. The driver immediately got out of his seat, went to the back of the van and helped me with my bags asking me why I was going to the Mt. of Olives. “To pray” I replied. “Are you Christian?” he asked. “I’m a Messianic Jew” I said in response, not knowing what kind of reaction that would get from him. He quickly smiled and raised his hand with a thumbs up and the joy that he showed on his face surprised and delighted me. 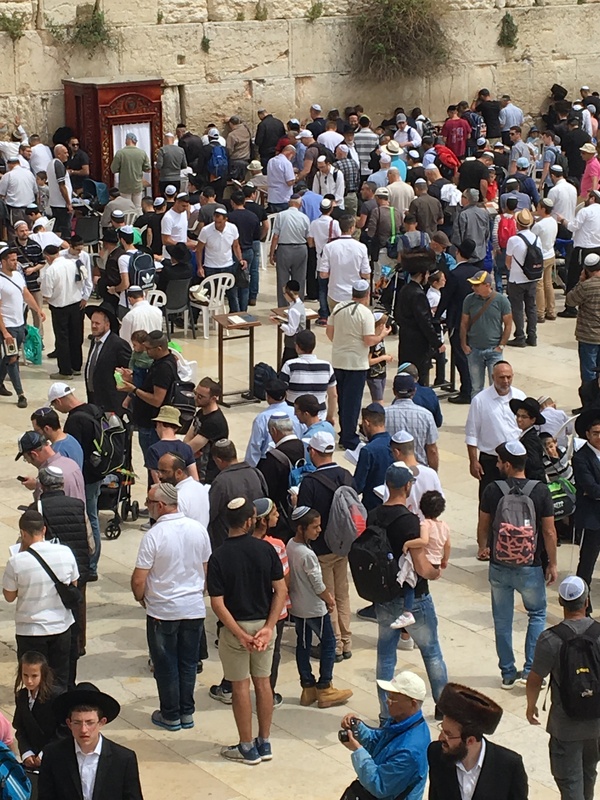 Truly God was showing me that it was time for me to be in Jerusalem and that the people there were ready and open to receive His love and the truth of the message about our Messiah. As part of the Israel Mandate, Mission Discipleship financially supports various ministries involved in cutting edge outreach to the Jewish People in the Land of Israel. One such ministry has a unique outreach to the orthodox community and recently sent the following report. In Israel the rabbinic religious system draws students from poor families, taking them into the Yeshivas (orthodox schools) where they sleep and spend all day studying and praying. The Rabbis give them a monthly bill for this without demanding payment. If and when a student either loses interest, or becomes disillusioned with living the “orthodox Jewish lifestyle”, he is suddenly required to ‘pay in full.’ At first, pressure is placed on the family. 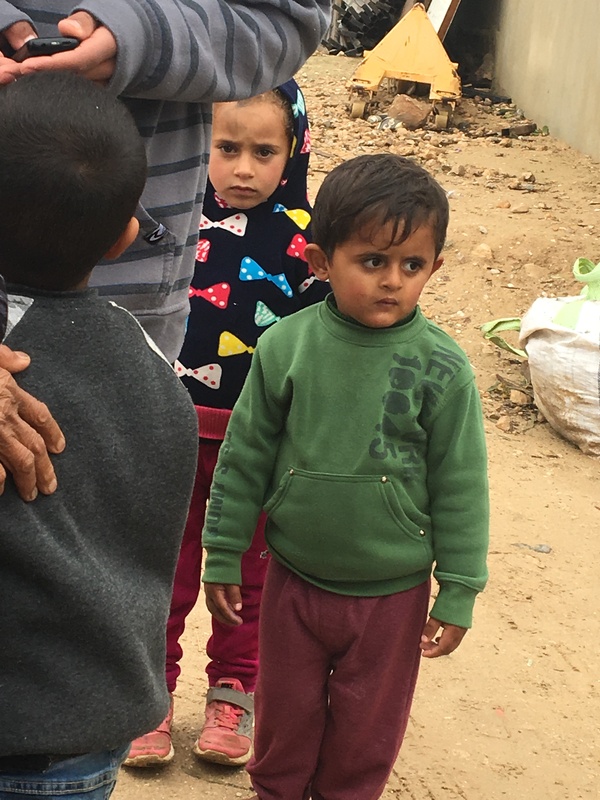 Failing that, increasingly harsh methods may be used, even locking students in a room for weeks without food, whisking them off to another location in the country, or in extreme cases, beating them. 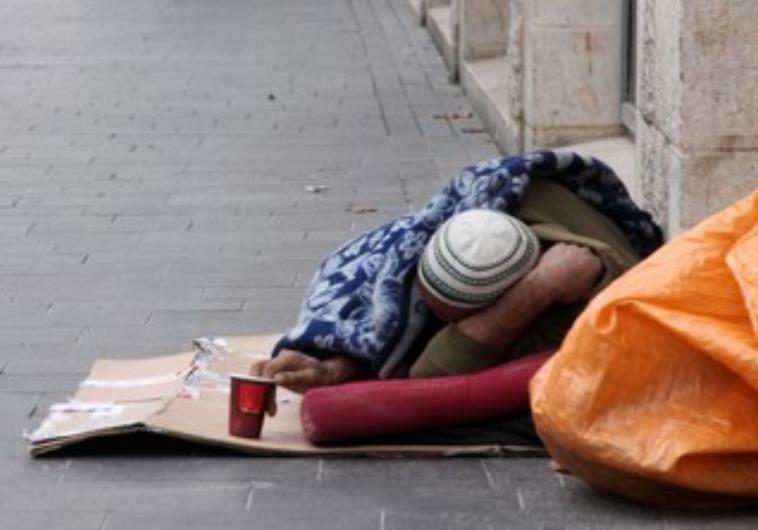 Because of this there is a growing underground, secret world of disillusioned orthodox young people who are hiding and living homeless in Jerusalem. One ministry that Mission Discipleship will be supporting financially has begun to help these young orthodox “runaways,” providing food, shelter and Torah study for them, in order to help them navigate their futures in loving, nurturing environments that will help them become men and women of God who know the truth, as the seeds of God’s Word are planted in their hearts. To learn more about “The Israel Mandate” and other Mission Discipleship initiatives sign up for Mission Discipleship’s monthly e-newsletter.